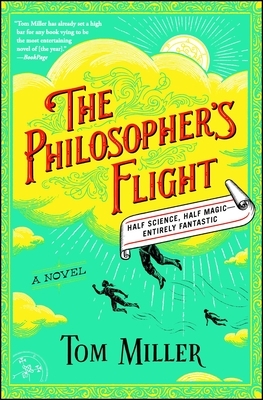 Tom Miller’s The Philosopher’s Flight is a wonderfully engaging alternative history, in which the great technological and political exploits of early 20th century America were accomplished by magic instead of science, and by women instead of men. So it is that the novel’s hero, Robert Weekes, aspires to attend Radcliffe College, there to study magic, in the hope of joining the Army’s elite flying squad, despite the fact these are all the preserves of women. The story is well-told and gripping, as Robert battles gender prejudice, bonds with his fellow students, and falls in love with war hero Danielle. Author Miller impresses as much with his command of historical detail as with his ability to imagine a fully-realized and absorbing literary world. Highly recommended!